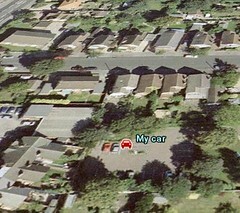 One of the most recent updates to data for Google Earth (perhaps my favourite way of wasting time and expanding my brain all at once) shows my car. It is definitely my car. I wonder when the picture was taken.